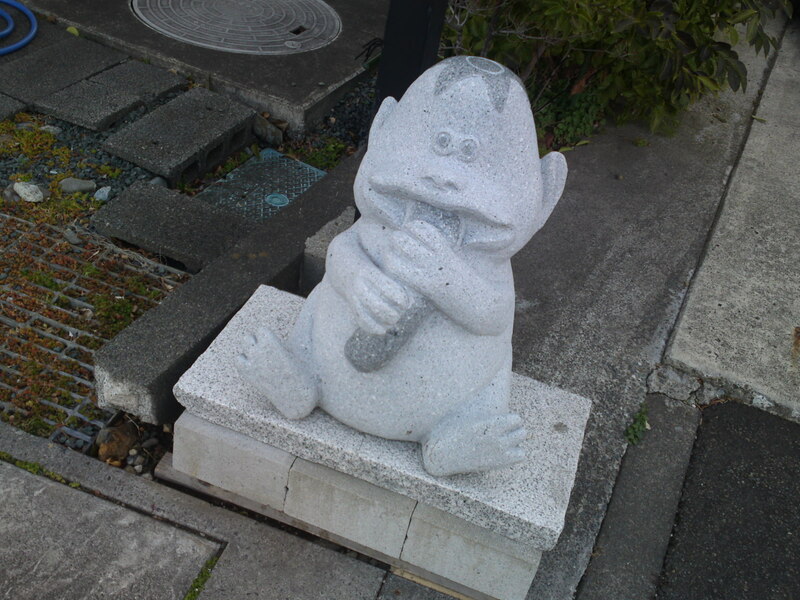 Kappa (Water Goblins) Street in Yaizu City! 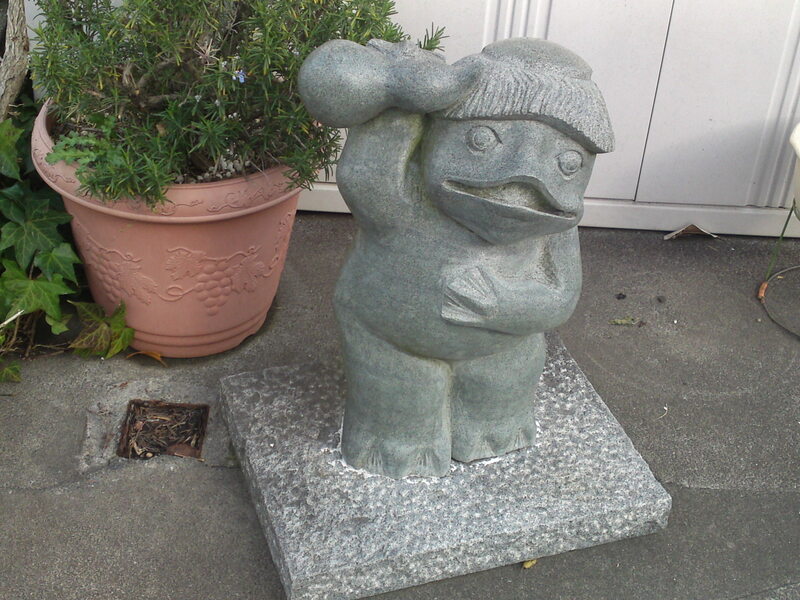 If you get off at Nishi Yaizu JR Station and go to the Kappa Museum, you will discover at one moment little stone statues of kappa (water goblins) in front of homes or stores indirectly advertising that Yaizu City holds a Guinness World Record in the shape of a 10,000+ collection of kappa in a private museum (report coming soon)! 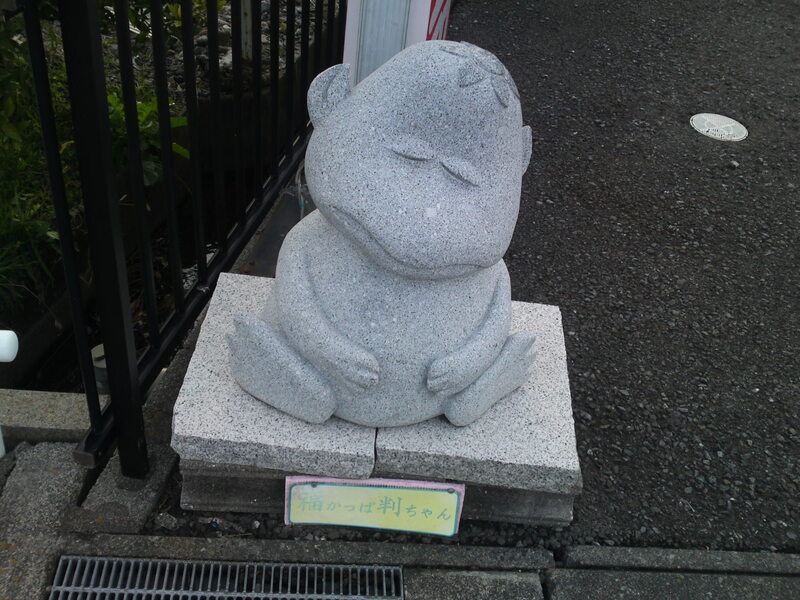 For more information on Kappa/河童, read HERE! 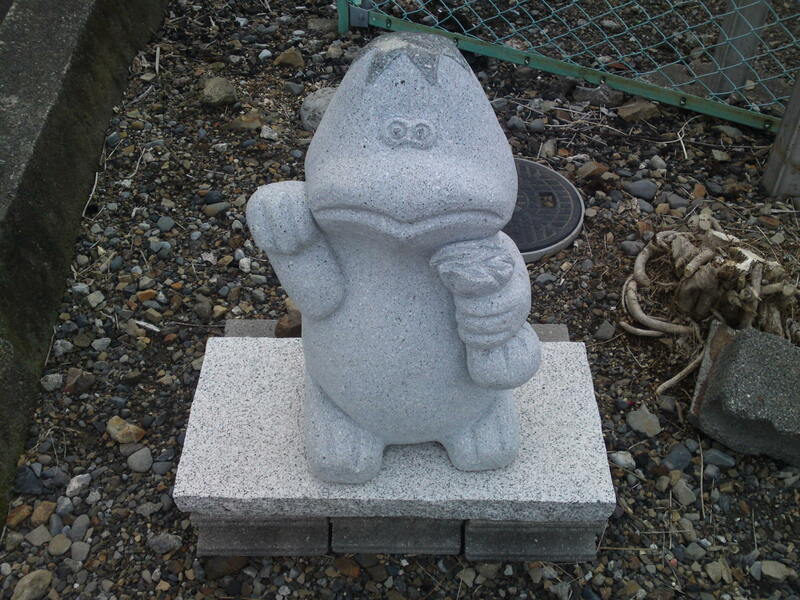 These are all very cute kappa, but do remember they are still feared in some areas in Japan! 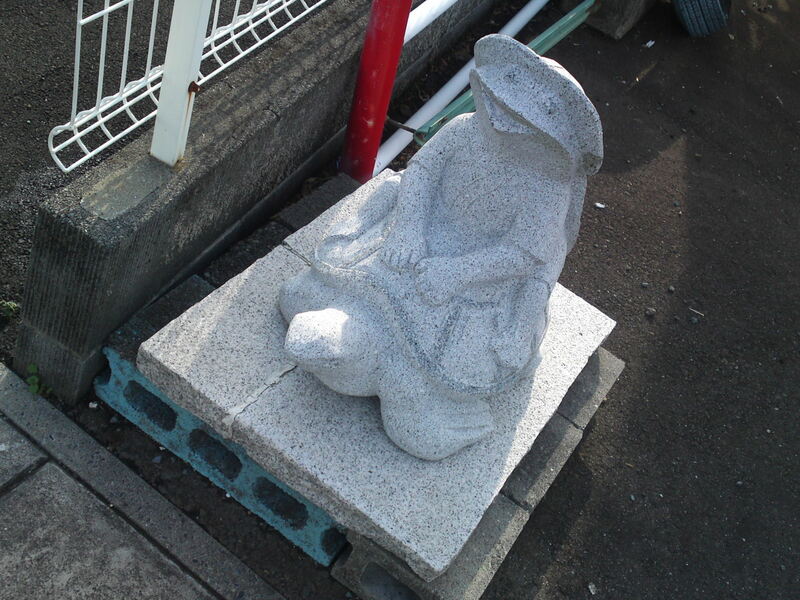 The kimono-clad female kappa in front of a cake shop! 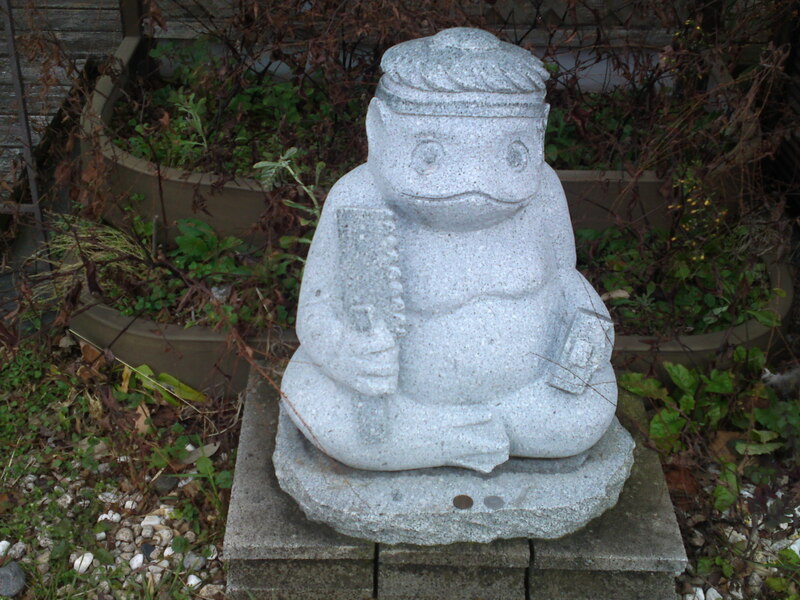 A kappa cannot live without a river, sake, cucumbers and plenty of raucous fun! 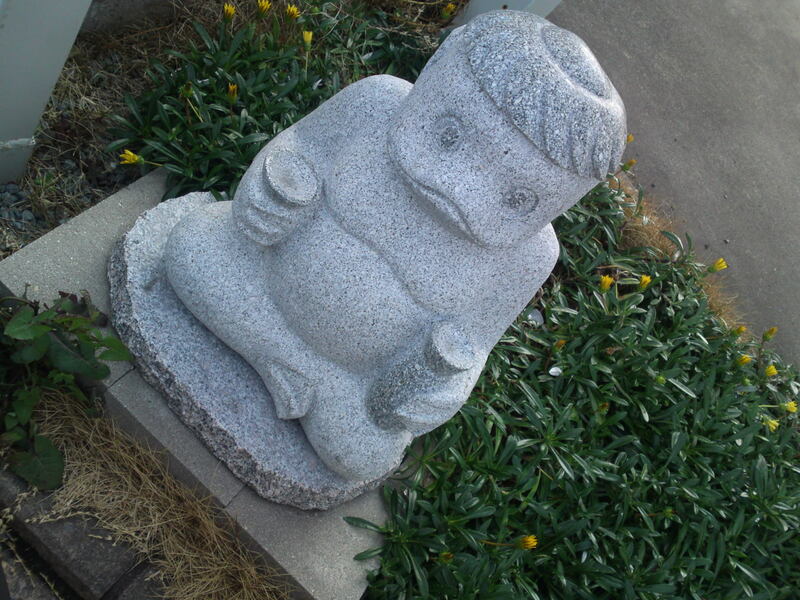 Have you ever wondered what was the meaning of a “Sushi Kappa Maki”? Now, you know! 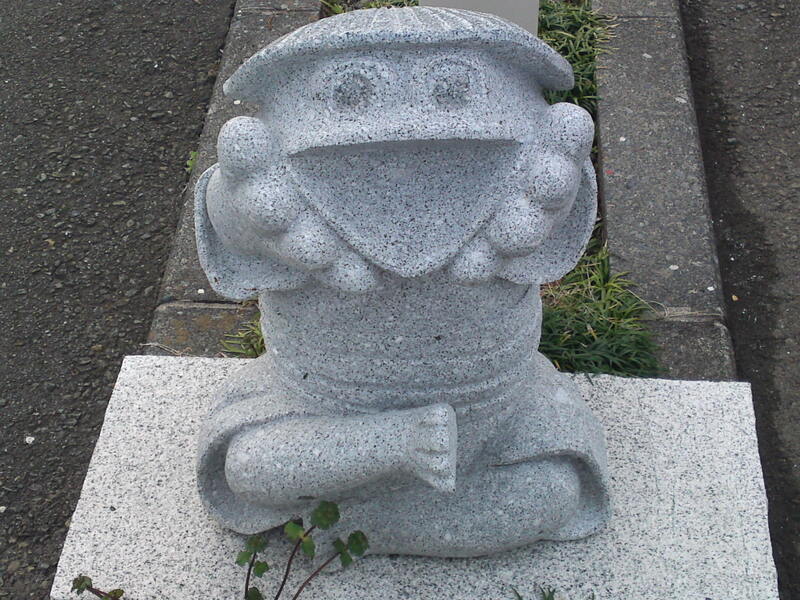 A Kappa calling for a refill! 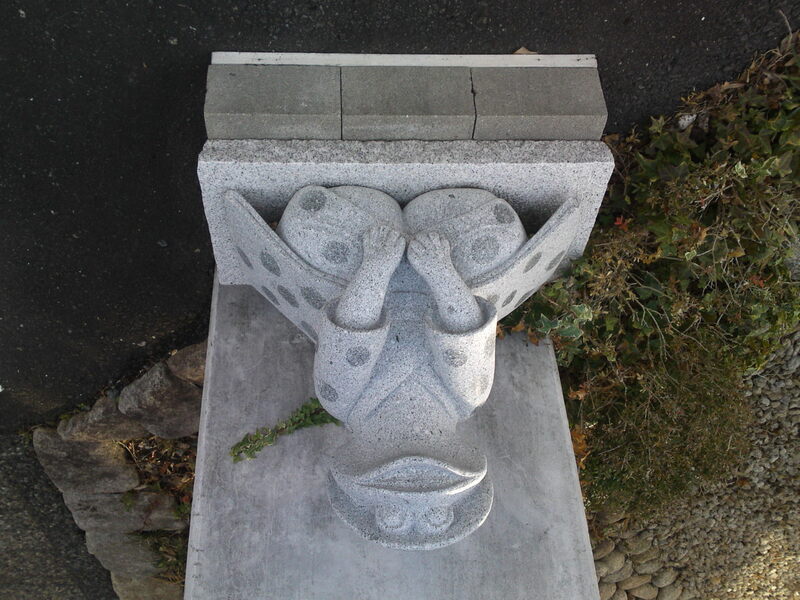 A Kappa sleeping off his sake! Careful with that one, too! 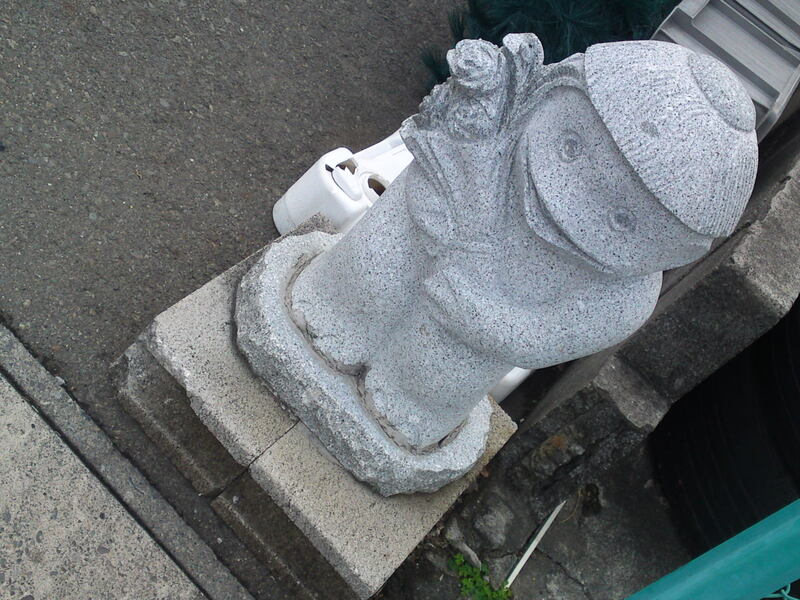 A young Kappa bringing flowers to her Mummy! 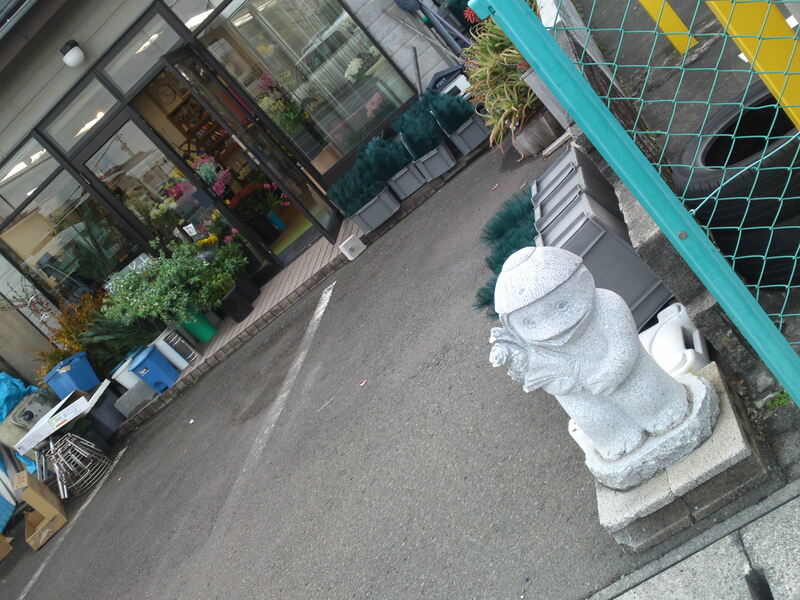 Naturally in front of a flower shop! 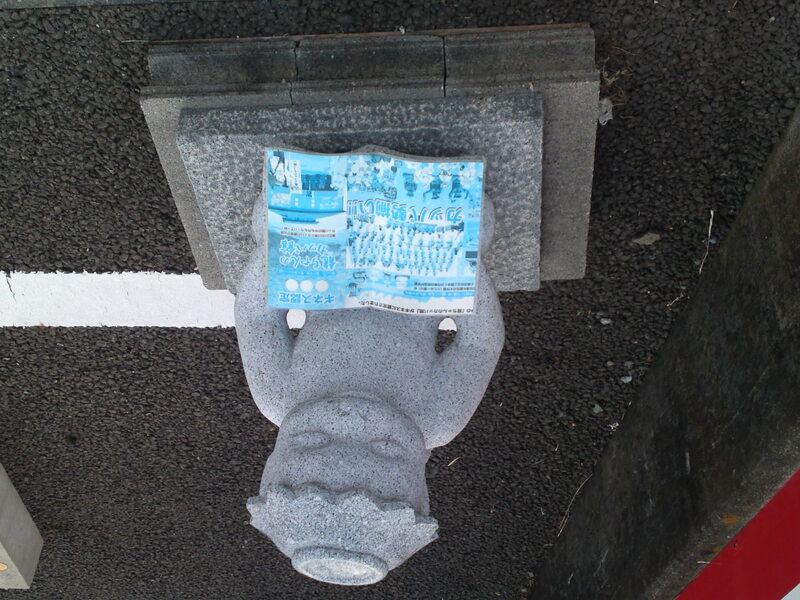 Previous PostDaruma Festival at Bishamonten Myohouji Temple in Yoshiwara, Fuji City!-富士市吉原で毘沙門天大祭!Next PostRamen-eating Skeleton Restaurant Sign in Yaizu City! 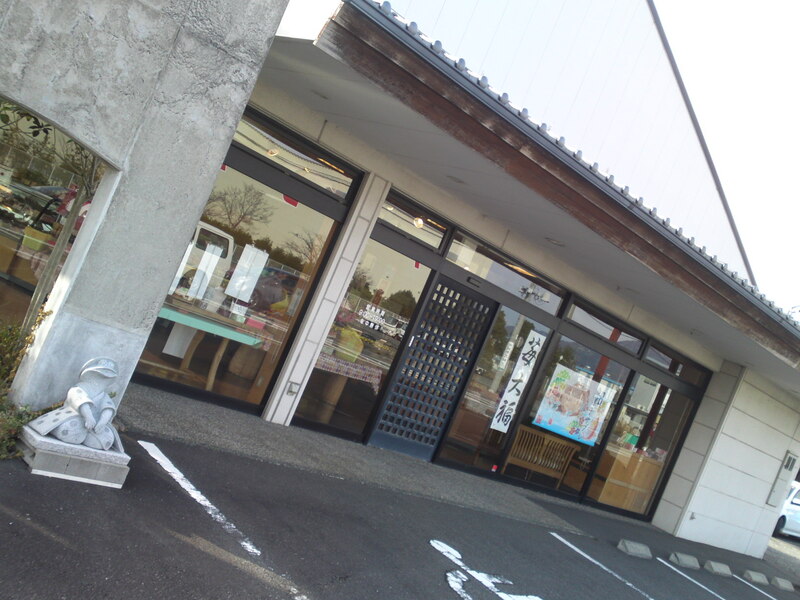 Bamboo Handcraft in Shizuoka Prefecture!